Virginia was born to Faye Nelson Rhodes and Horace Rhodes on June 15, 1926 in Tacoma, Washington. As a child, she loved visiting her grandparents in Tacoma and Centralia and spending summers on Hood Canal. She had many happy memories attending junior high in Pendleton, Oregon and high school at Stadium in Tacoma. Virginia attended the University of Washington and was active in theatre and Alpha Xi Delta sorority. While at the U, she met Bryce Lewis Lilly, a US Army Air Corps veteran who had survived the Bataan Death March and three and a half years as a POW in the Philippines and Japan. Virginia and Bryce shared a love for humor, classic movies and theatre that carried them through raising four children and 62 years of marriage. Their first home was at the Shorewood Apartments on Mercer Island surrounded by many other newly married couples. They also lived in Bellevue before settling in Kenmore. Virginia loved and enjoyed her children. They were deeply influenced by her love of theatre and music. She welcomed all their friends into the Lilly home, directing the Girl Scouts in plays and listening to her sons’ many Kenmore rock bands practice in the basement. She volunteered at all of her children’s schools, was a volunteer with Mental Health Northwest and a docent with Seattle’s Museum of History and Industry. 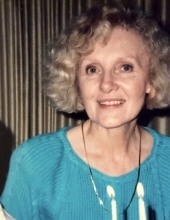 She returned to the UW and finished her degree in English in 1973. She enjoyed frequent trips to Europe and Hawaii with her daughters. Next to her family, Virginia said that books gave her the most enjoyment in life. She was a lifelong reader. She always had a book at her side and loved biographies, mysteries and history. Virginia moved to Walla Walla in 2017 to be near family. She is survived by her children, Diana Lilly May (Rick), Bryce Norman Lilly (Linda), Keith Rhodes Lilly, and Shauna Lilly Bogley (John), 10 grandchildren and 8 great grandchildren. She was preceded in death by her husband, Bryce and daughter-in-law, Krys. To plant a tree in memory of Virginia Lilly, please visit our Tribute Store. "Email Address" would like to share the life celebration of Virginia Lilly. Click on the "link" to go to share a favorite memory or leave a condolence message for the family.